Mother’s Day is only a month away! What a beautiful holiday – a whole day dedicated to all mothers….grand-mothers, step-mothers, adopted mothers, mommas, memes, mommys, close-enough mommas and everyone in between. I am fortunate enough to have my wonderful Momma in my life. I moved back to my home town about three years ago and get to spend time with my Mom whenever I want…..a blessing I took for granted for years. I have learned how valuable it is to have a Mom. My husband lost his Mom a few years ago and I know he misses her every day. It makes me more thankful to have my Mom and to be able to share her with him. We lost my Grandma just over a month ago, my last grandparent, my Momma’s Mom. Our hearts are still very raw and sad from this loss, and I am sure Mother’s Day will be bittersweet this year. 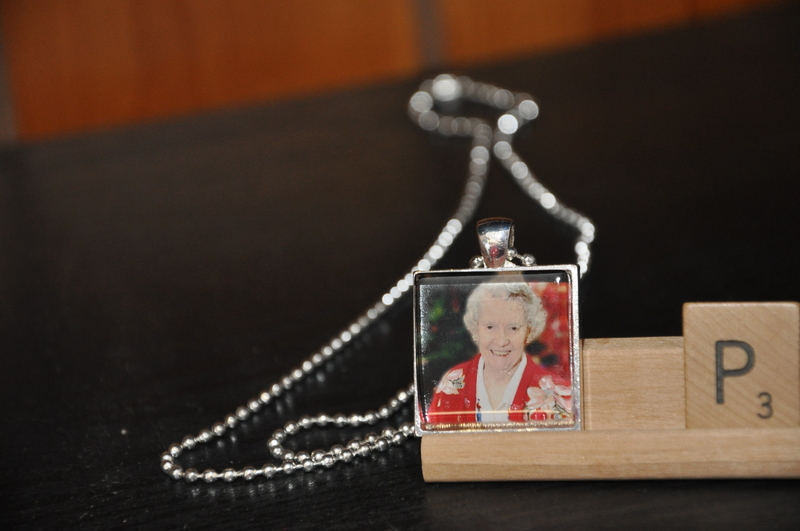 To help us honor my Grandma, my husband made all of us a photo pendant of her. A beautiful tribute to this beautiful woman who influenced my life in so many positive ways. We started our 1st business with handmade jewelry, and our photo jewelry evolved from those first pieces. I love when we get orders for beautiful necklaces of people’s kids, moms, grandparents, dogs – and we are especially touched when asked to make memorial pieces. If we can help you with the perfect Mother’s Day gift, let us know soon – Mother’s Day is May 13.